Take a Walk Through The Nepal Communitere Resource Center Design! | Communitere: Response. Relief. Renewal. As the one year anniversary of the April 25, 2015 Nepal earthquake approaches, all of us at Communitere are taking a moment to reflect on the warm reception we have received here in Nepal. We have been truly inspired by the resilience of the Nepali people, whose desire and passion to rebuild their lives, homes and livelihoods helps drive us in our efforts to provide the tools and resources required to start and carry out this process. A year on, while many other organizations’ mobilizations have come to a close in Nepal, Nepal Communitere is truly coming into its element as we follow through on our plan to complete our Resource Center and remain in Nepal indefinitely. 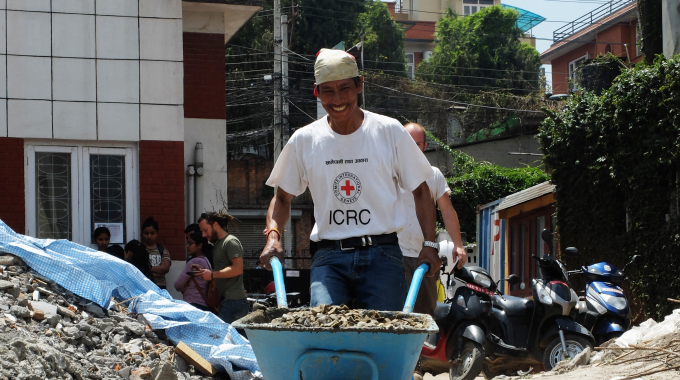 As an innovative, locally run non-profit organization, Nepal Communitere has had a busy year bringing the proven Communitere International model for a sustainable emergency response, recovery and renewal to Nepal. Our model, which is aimed at bringing together Nepali and international groups to operate as one community in a dynamic, collaborative hub, is the perfect fit for Nepal. 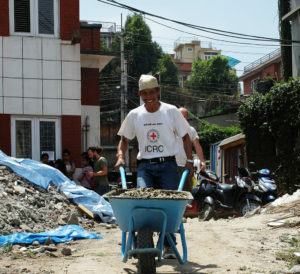 In fact, through setting up and developing our Resource Center and Innovation Hub in Kathmandu, Nepal, Communitere is already making a positive impact through empowering our partners, local individuals and communities with the resources, processes and tools required to become self-reliant and take an active role in the renewal of their own communities. While we are already up and running, we are currently working feverishly to expand and complete the Resource Center and have recently begun the construction of an additional multi-purpose structure made primarily out of shipping containers. Beginning in July 2015, Nepal Communitere sponsored the Cargotecture Challenge, inviting architects, designers, engineers and laymen alike to submit their plans for an innovative, super-functional space built from the shipping containers. The results were nothing short of astounding. By late fall, a final design was chosen and our building phase began. We are now very proud and gratified to reveal this video outlining both the design process and our final plans! The completed Resource Center will stimulate collaboration and innovation by providing local individuals and organizations with a variety of technological, educational, and social resources. 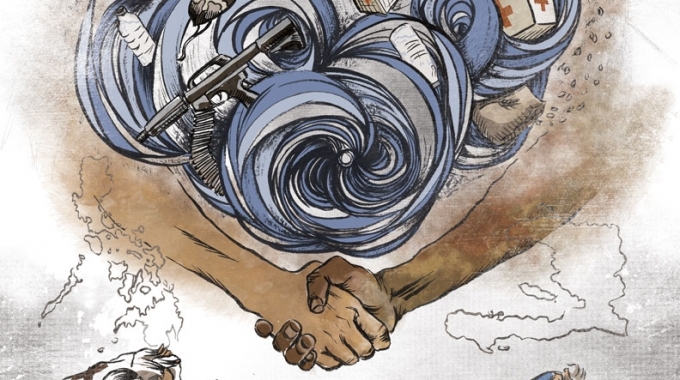 All of the structure’s spaces will be collaboratively utilized by diverse actors in the community and, as a result, the Center promotes innovative, locally-directed responses to Nepal’s relief-based and long-term developmental imperatives. In practice, the Resource Center will operate a tool-lending library as well as a metal and woodworking workshop. These spaces empower local individuals and organizations by providing the implements, training and workspace needed to create effective physical infrastructure and build technical capacity. 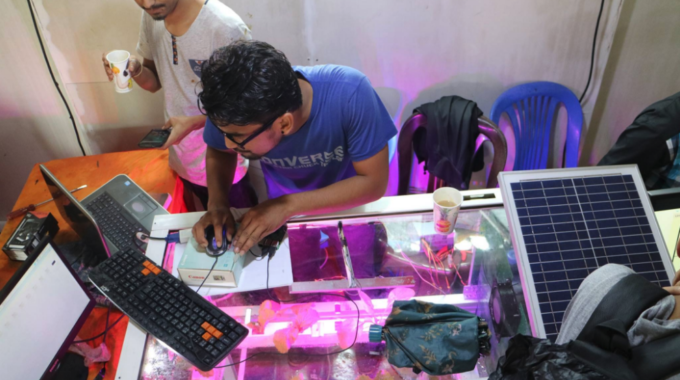 The Innovation and Media Lab will also contribute to the Nepali community’s own problem-solving capacity, but focus on software-based technological resources such as computers, laser-cutting, robotics, and 3D printing. The co-working space, classroom, and outdoor amphitheater will act as versatile spaces that the community utilizes according to its social, practical, and educational needs. All of us at Nepal Communitere are proud and honored to be a part of Nepal’s renewal and sustained growth. And, as always, we want to thank you all for your ongoing support which makes this all possible!